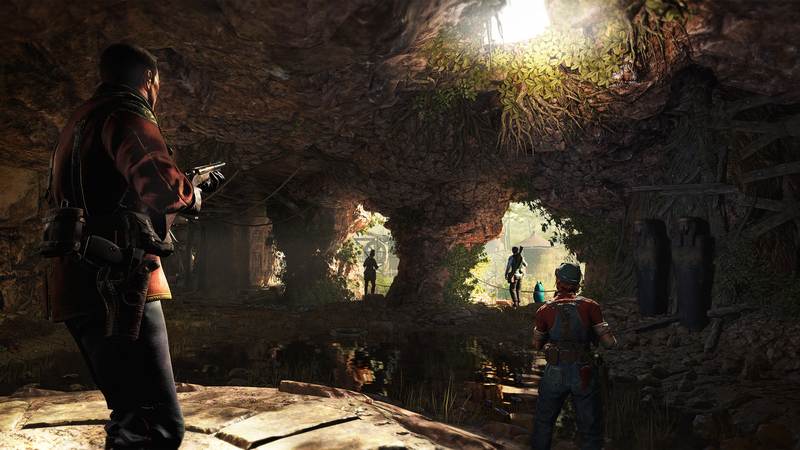 "Kinda like the Mummy but without Brendan Fraser or bad CGI"
Rebellion have a pretty busy slate of titles coming soon, for a studio dedicated to usually working on one game at a time, not only do we have Battlezone Gold Edition to look forward to soon, but we also now can look forward to the release of Strange Brigade on Xbox One with the announcement that the game will launch August 28th. Strange Brigade is a 1930's co-op title which sees you playing as one of four heroes as they head to Egypt where ancient terror lingers, Risen from the dead, the Witch Queen Seteki commands an army of mummified monstrosities hell-bent on terror, and only one band of brave adventurers has the gusto to sock ancient evil back into its sarcophagus. So essentially it is our job to come along and save the day. We have also been alerted to the fact that the game will have pre-order bonuses available as well as a collectors edition and these involve the following. 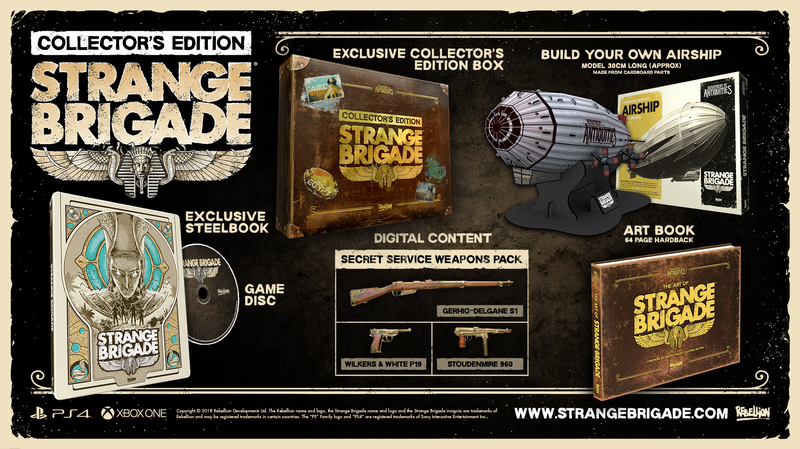 If you pre-order the title you will receive a secret service weapon pack, in which you will be given Wilkers + White P19 Pistol, Stoudenmire 960 submachine gun and Gehrig-Delgane S1 rifle, so not a bad bunch of weapons then. If you want to take your pre-order a step further though you can do so by grabbing the digital deluxe edition of the title which will also give you access to the games season pass also.